Shamrock Run is the largest running and walking event in Oregon and the third largest running event in the western US. 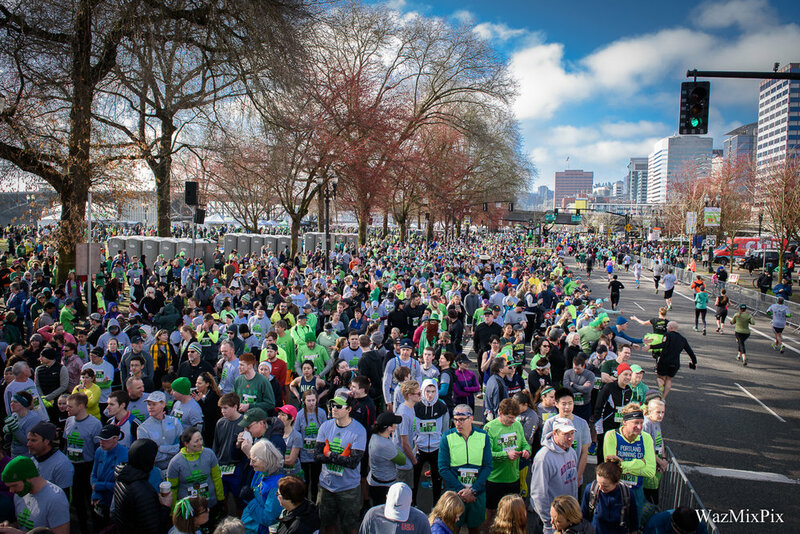 A staple of Portland’s culture and the annual kick-off to spring running season, the 2018 event celebrated its 40th year with 25,000 runners and walkers. In her role for Shamrock, Devon oversaw an integrated marketing strategy to increase event awareness and attendance. Devon managed social media and media relations. She personally populated multiple social media channels and oversaw fan engagement, doubling the brand's Instagram followers, significantly growing its channels, and resulting in a well-attended, high-energy event. The event appeared in local publications from KGW's "Portland Today" to Drink Portland and The Oregonian. Secured pre-event and day-of coverage from all four local broadcast stations, and the statewide paper. Additional placements in never-before secured outlets, from local blogs to alt weeklies and online publications. "You hit the PR ball out of the park. Never have we had event coverage like this. You are indescribable. Today was off the charts because of you. Four for four TV stations, too. I'm speechless!"